VegTrug garden boxes are a great innovation that I recently discovered at one of my local nurseries. They’re ideal for foodies with small gardens or even those looking for a more convenient veggie patch right outside your kitchen door for quick access to homegrown herbs and salad greens. 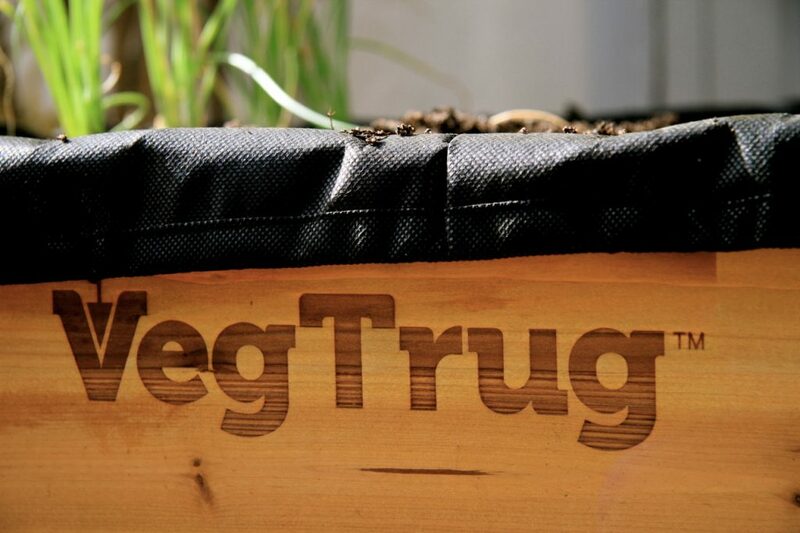 The VegTrug box is waist height, making it a pleasure to work with once set up. 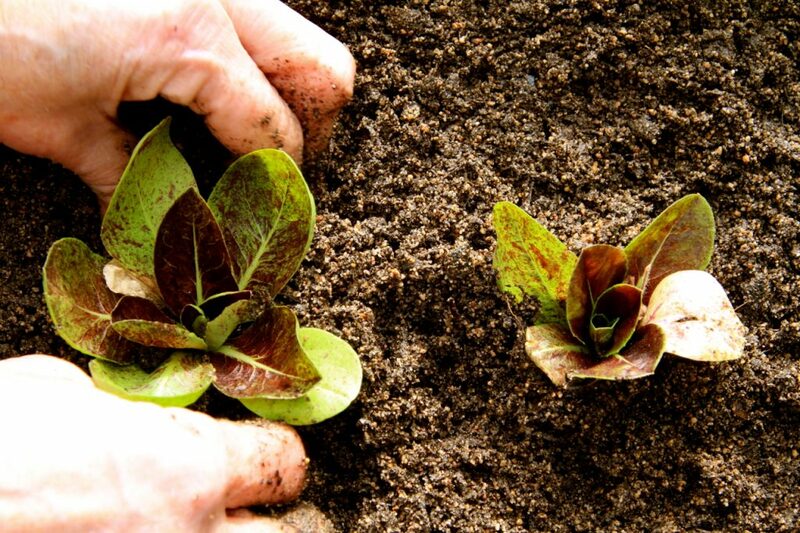 Gone are the back-breaking days of having to bend down to plant or pick the fresh produce you need. And it’s perfectly positioned to make gardening more accessible to those in wheelchairs too, literally putting a dedicated flower bed or veggie garden within easy reach. We decided to buy two of the VegTrug boxes. We have paving outside our kitchen and don’t want to walk around to the front garden every time we want to pick something fresh. We love natural foods and haven’t used any chemicals in our garden for the last 12 years. We also happen to have an overactive (but equally loving) Golden Retriever, who has a radar that goes into red alert when anything new is planted in the garden. As soon as it’s in, and just after We’ve turned our backs, she moves into seek and destroy mode. She definitely makes gardening an adventure for us! 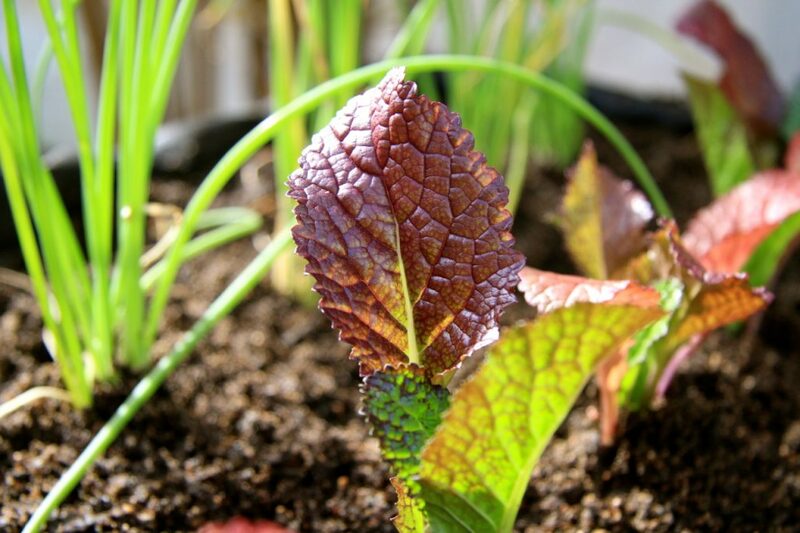 In the first VegTruck, we planted herbs, salad leaves and spring onions. We’re going to dedicate the other to chillies, tomatoes, carrots and beetroot. The box itself was really easy to assemble and took two of us about half an hour to get it done. It comes with an inner lining that not only protects the wood but also prevents all the soil from washing out the bottom. 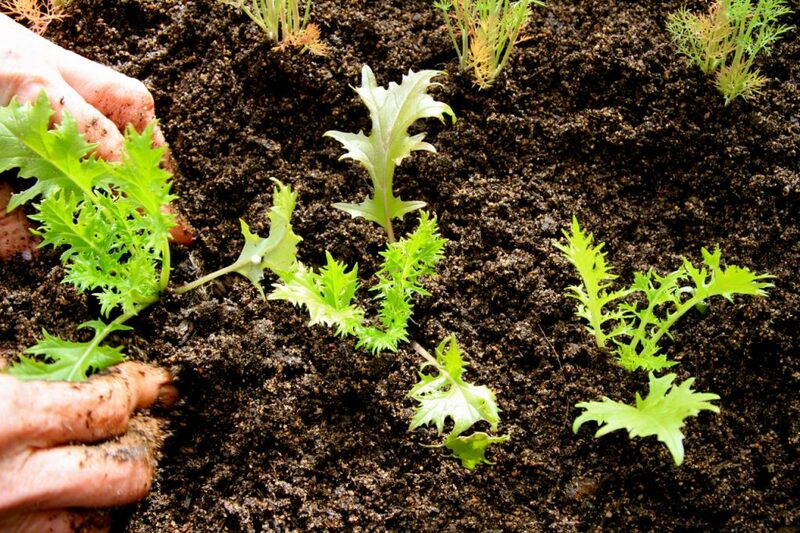 The shape of the box allows you to plant your root vegetables in the centre of the box, with your salad greens and other vegetables anywhere else in the patch. 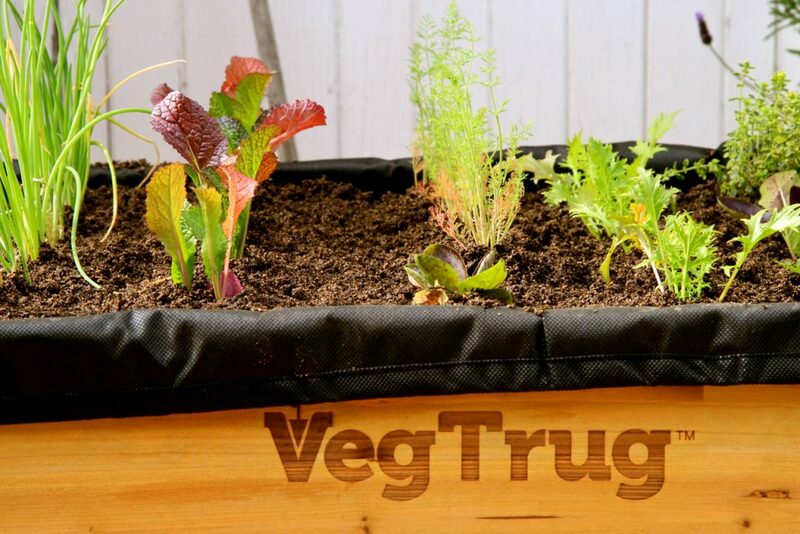 A single VegTrug box takes 1/3 of a bag of compost and four bags of potting soil to fill to the top. We also put some stones and river sand at the bottom to allow proper drainage when watering. We managed to comfortably fit one lemon thyme plant, six spring onions, six dill, six mustard cress, six radicchio, and six curly lettuce in the one VegTrug and can’t wait to harvest some of these in about six weeks’ time. We’re really thrilled with how easy the whole process was and at how good it looks. The other benefit of the VegTrug is that it keeps slugs and snails out of your plants and believe me we have plenty of those! In fact, we have a monster slug that comes through the kitchen window every night to feed on our cat’s food. Ugh! If you have any VegTrug successes of your own you’d like to share, or questions you’d like to ask, please add your comments below. Lovely piece and thank you. Please do tuck the liner back down level with the soil so that it is not left over the edge, as it will degrade. Love your site and thanks again! Thanks for your article i enjoyed the read. I also purchased one of these and i love it – only problem is i live in Joburg and the frost killed all my plants last year – i was wondering where you got yours? Do they maybe have the covers that they advertise on the website? I also live in CT and would love to get hold of a Vegtrug . Who are the stock it’s….preferably in the Southern Suburbs. Hello Mandy. We got ours at Builders Warehouse.